I*The Overcoming Church of God was chartered with the State of Georgia in the year 1923. The Overcoming Church of God was founded in May 1919 in Atlanta, Georgia under the leadership of the Late Bishop L. M. Mitchell. Bishop Mitchell was a gospel preacher and born leader. He came to Atlanta led by the spirit of God to give birth to and organize the Overcoming Church of God. Like Paul on Mars Hill this great preacher came to expound a four square gospel, a gospel that would either draw or drive. He pitched a tent on the corner of Ira and Bass Streets where he preached both night and day without fear or favor. On the 23rd day of October 1919, he organized a church in his shoe shop, which was located at 315 McDaniel Street in Atlanta, Georgia, with three members. From this humble beginning the church has steadily grown in power and influence until today. The Overcoming Church of God has spread throughout the southeast and northeast parts of the United States, building many churches and missions. 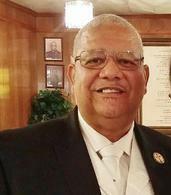 Bishop Higgins is the Assistant Presiding Bishop,of the Overcoming Church of God of America, Inc., and is currently pastoring St. Paul Overcoming Church of God, in Gadsden, Alabama. Bishop Parker is the Presiding Bishop of the Overcoming Church of God of America, Inc., and is currently pastoring Greater Mt. Olive Overcoming Church of God, in Douglasville, Georgia. 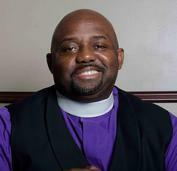 Bishop Higgins is the 1st Assistant Presiding Bishop,of the Overcoming Church of God of America, Inc., and is currently pastoring St. Stephen Overcoming Church of God, in Atlanta, Georgia.